The Crimes of Singapore Lawyer Tan Cheng Yew – and Family? On April 18th, Singapore lawyer Tan Cheng Yew, who had been on the run for six years until his 2009 arrest in Germany, was jailed for nine years for criminal breach of trust and cheating involving a total of $4.8 million. 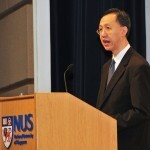 Tan comes from a family of lawyers—his older brother Professor Tan Cheng Han is the dean of the law faculty at the National University of Singapore (NUS) and a Senior Counsel, while is father, Tan Hock Kim, is a retired lawyer. In February 2003, Tan fled Singapore for Perth, Australia. There, he stayed in his family’s house as well as hotels, and sent a text message to his parents in Singapore to say he was all right. Initially, he did not contact his family regularly as they ‘didn’t take what I had done… too well’, he said in court earlier this year. Later that year he traveled to the U.S. using a fake passport and an assumed name—another crime. Passport and visa fraud are felonies in the US. 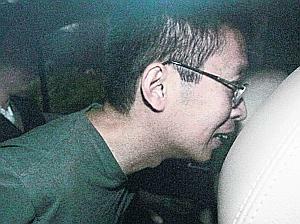 Since Tan Cheng Yew’s forgery had other criminal links, the U.S. penalty is 15 years incarceration. 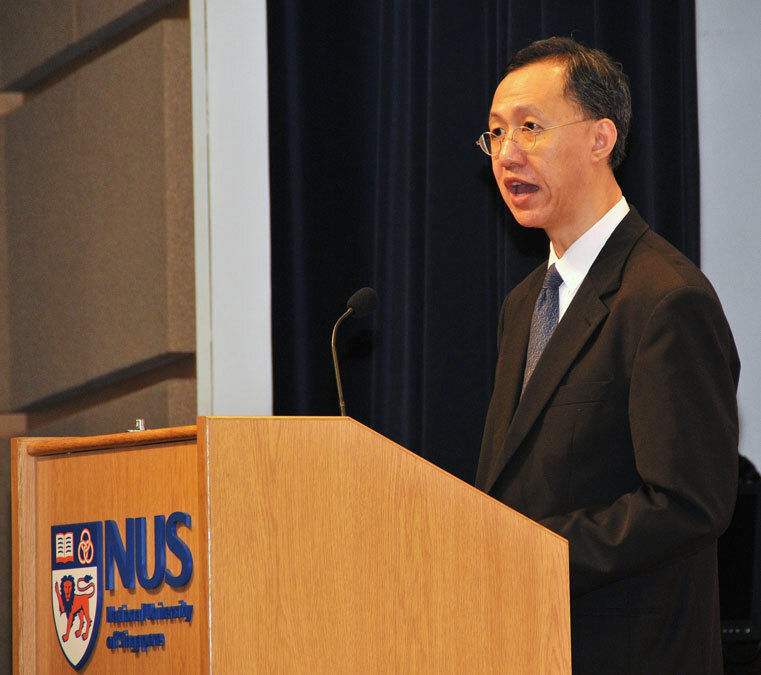 Tan Cheng Yew found employment in the U.S. as legal counsel in multinational companies—another crime as he was a fugitive and not licensed in the U.S. He flew regularly to Munich, Germany, for similar work and meetings. 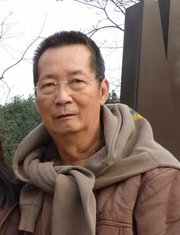 Tan was arrested at Munich airport on June 2, 2009 and held in remand until his extradition to Singapore in October of that year. Our investigation shows that Tan Cheng Yew’s father, Tan Hock Kim, is a resident of Perth, Australia, hence the family house in Perth. Why were Tan Cheng Yew’s brother and father not investigated by Singapore for their potential crimes? Would it be too embarrassing for Singapore to have a Senior Counsel and Dean of the NUS law faculty investigated for such a matter? There is another instance in which Tan Cheng Han was associated with questionable individuals—an instance in which I was personally involved. Tan Cheng Han was the matrimonial lawyer for Chung Hin Chew, my wife’s former husband, who had been incarcerated for a year in Brunei, and who had contacts with Dan Arnold, a CIA operative. Glancing at John, Judge Singh was a bit confused. Inland Revenue was populated exclusively with Chinese at the top, Malays in junior positions, and Indians cleaning the hallways and toilets. Where did a Caucasian fit in? How extremely observant of my wife, May Chu! Tan Cheng Yew, Tan Cheng Han and Tan Hock Kim all do look a bit like the praying mantis. 13 comments to The Crimes of Singapore Lawyer Tan Cheng Yew – and Family? Why isn’t the FBI investigating into Tan’s alleged identity theft? Tan is alleging practising as a attorney here in the States? After 9/11, I demand to know why charges are brought up against Tan here in America? We go thru’ pat-down hell at our airports and we have this guy coming in and committing all these alleged crimes, all serious felonies? Who knows if Tan is a terrorist? I just read your post, John. I am an American, and I am outraged that this guy …yeah? ‘allegedly’ committed all these crimes. He should be serving time in the slammer. I don’t care about his other run arounds. Please continue to keep me posted! Either the INS dropped the ball, or Tan’s coming back to us? Do the crime, do the time! tan cheng yew, his brother and his father are all malaysian citizens. (although, tan cheng yew and his brother hold S’pore permanent residency status, same as you did during the time you lived in S’pore, man). The fact that they are Malaysian citizens is not relevant to the Tan’s situation. We had heard this fact, but did not publish it, as we needed proof. Tan Cheng Yew has committed many crimes in the US, which we shall pursue – identity theft, forgery, mail fraud – the list is long and he should be extradited to the US after serving his time in Singapore. If you have any proof of the Tan’s Malaysian citizenship, please send it our way, as we are doing a second article on the Tan family. How did Tan get a US passport? I think he got someone to mail it to him from America to Perth, Australia? Check with FEDEX. Probably US mail. That’s mailfraud, right there. I just don’t think he can be cleared thru’ US customs without a US Passport. I think the Dept of Homeland Security screwed up on this case. If Tan can get into America so easily, there are other bad guys that are doing this as well. The new US passport is coded. John, I just read your post. This guy, Tan is in deep trouble. I foresee him being extradited back to the US, for trial. All the alleged acts he allegedly committed in America are major felonies. Great investigation! How safe is America? Our borders are not secured. Ilegals and mexican drug cartels come in. The present administration puts everyone through hell, at the airport. And we can’t keep even felons with fake US passports out. I have visited Singapore. It’s a beautiful, clean country, and the people are wonderful. Maybe we should learn a thing or two from Singapore. At least they got the fellow, and we dropped the ball. John, you see, we always get our guy! We can’t keep our borders secured. We got illegals and mexican drug cartels coming in. Now felons are coming in with fake US passports walking right through our US Customs guards. We have to be body-scanned, and patted down, when we travel. We are the victims here. I have visited Singapore. It’s a beautiful and clean country, with wonderful people. We should learn a thing or two from them. They got this fellow, when we should have arrested him. How can we even think of keeping out terrorists in our country? 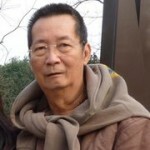 Tan Cheng Yew is sitting in his prison cell. Stupid to run away with $5million. What can $5million get for him. We think professional people like lawyers and doctors are so smart. I’m just a ordinary citizen. Apparently, Mr Tan had a gambling problem. His family must be very disappointed with him. Back in 2002, and for a short time, the Singapore National Library had 25 copies, which were all checked out – and with a waiting list. On March 14, 2011, I wrote to the Singapore National Library to check on the books availability. On April 12, 2011, the library answered that there was a single copy available – this is not for checking out, but you must sign to read it in the library. We would like to inform you that as mentioned in our colleague’s previous reply, this book did not meet the Library’s criteria. There is a copy in Lee Kong Chian Reference Library’s collection which readers can request for viewing or reference. Thank you for using the Ask service. Question : Why is Escape from Paradise by May Chu and John Harding not available?